The British Toy Soldier Company produces classic 54mm glossy toy soldiers. Appropriately, they are made entirely in England. 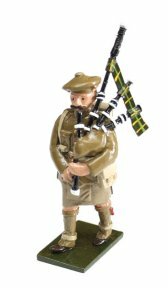 These charming figures are cast and painted entirely by hand in a truly cottage industry-the toy soldiers are made in the home of the company's owner! Original toy soldiers were really toys, as opposed to the collectible items on the market today. The British Toy Soldier Company figures hearken back to that era, and produces sets that remind us of days past. The figures are primarily focused on The Great War, but sets of marching bands, ceremonial cavalry, and parading soldiers also abound. There are a few WWII sets to be found here as well, though their WWI counterparts far outnumber them. Most collectible soldiers now are finished with a matte paint, which enhances the realism that the modern collector seeks. Traditional toy soldiers, however, were finished with a shiny, or glossy, paint that has an attraction and charm all its own. It reflects the original purpose of the figure, to be a toy soldier, and when displayed draws the eye to the bright colors of the uniforms. Also available from BTSC are some backdrops for your soldiers to form up in front of. One is the Horse Guards Parade grounds and the other is a war-torn WWI battlefield. 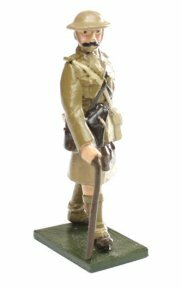 Each one suits the different types of figures the British Toy Soldier company specializes in perfectly. The various parading units; the Blues & Royals, the Lifeguards, the Royal Marines, the Scots Guards or the Royal Horse Artillery would all look splendid on the Horse Guards grounds. 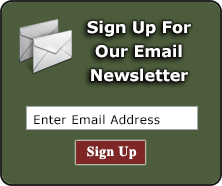 Browse our one-of-a-kind selection of British Toy Soldier Company miniatures below! We at Treefrog Treasures will no longer be stocking the BTS figures. Once we sell out of our current inventory you will still be able to order these direct from Patrick Adams in the UK.